Chazzan Netanel Hershtik will perform in the Hanukka-season concerts of Pro Musica Hebraica. In initiating an annual series of Hanukkah-time performances this December, Pro Musica Hebraica will be breaking new ground. This is the first time the nonprofit organization—dedicated to bringing Jewish classical music, much of it lost, forgotten, or rarely performed, to the concert stage–is offering programs outside Washington, D.C., home base of founders Robyn and Charles Krauthammer. In addition to Pro Musica Hebraica’s usual venue, DC’s Kennedy Center, these performances will take place at the recently restored Eldridge Synagogue on Manhattan’s Lower East Side. This also marks the first time the organization will devote a concert exclusively to liturgical music, although the repertoire it promotes has historically been woven of the sacred and secular, folk and liturgical, says Charles Krauthammer, a psychiatrist and noted columnist and political commentator. The couple founded Pro Musica Hebraica nine years ago after realizing that “all cultures were celebrated at the Kennedy Center, where we frequently attend classical music concerts, except the Jewish one,” Krauthammer says. They asked Michael Kaiser, center president, for guidance in setting up a nonprofit to redress that imbalance, which he “generously” gave. It began with the process of discovery—searching for Jewish art music in unpublished scores and archival manuscripts. Pro Musica Hebraica, for example, made contact with the Apollo Ensemble, which plays the works of Salamone de Rossi, a 17th-century composer of choral works for the synagogue. The ensemble was able to aid Pro Musica Hebraica in its search for other Jewish classical pieces. Pro Musica Hebraica later added concerts, presenting works by such composers as Joseph Achron, Michel Michelet, Mieczslaw Weinberg and the Pulitzer Prize-winning contemporary composer Osvaldo Goljov, who blends traditional folk music and modern classical idioms. Pro Musica Hebraica raises consciousness through concerts but also through its extensive and well-researched Web site. Music fans may associate Jewish classical music with Leonard Bernstein or George Gershwin, but not realize it dates back a few centuries and continues today. There were even Jewish composers who studied with the Russian Academy in the early-20th century and were encouraged by Rimsky-Korsakov to “find their own voice.” At the time, ethnographic expeditions were recording Jewish music; a few wax cylinder copies of their efforts remain at the St. Petersburg Library. They warm to the kind of comment made by one audience member after hearing Goljov’s “Aveinu Malkeinu” from the High Holiday prayers: He declared that the music evoked the smell of his father’s tallit enveloping him on Yom Kippur. To fulfill its mission, Pro Musica Hebraica is interested in partnering with another Jewish organization that has the infrastructure and capability of sponsoring additional outreach and educational programs. 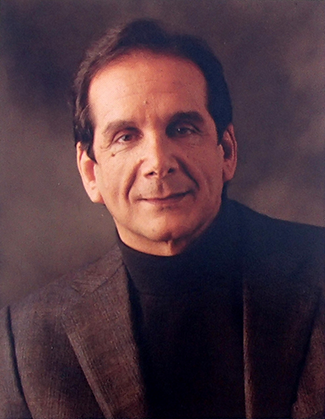 “I’d never object to someone else being the custodian of our work, and doing it on a larger scale,” Krauthammer says. The Hanukka-time programs, “From Psalms to Lamentation: A Concert of Cantorial Masterpieces,” will feature Chazzan Netanel Hershtik, who has performed with the Israel Philharmonic Orchestra, Jerusalem Symphony Orchestra and many leading cantorial choirs. His selections will include “Chag Gadya” (Haggadah), “Esa Eynai” (liturgy), and “Veulay” (by prestate Israeli poet Rachel). Also appearing will be the Hampton Synagogue Choir and the Amernet String Quartet. The “Cantorial Masterpieces” concerts take place Sunday, December 2, at 3 p.m. at the Eldridge Street Synagogue, New York, and on Thursday, December 6, 7:30, at the Kennedy Center Terrace Theater. Tickets for the Kennedy Center performance are $38 and can be purchased at the box office, online at www.kennedy-center.org, or by calling (202) 467-4600 or (800) 444-1234. Tickets for the Eldridge Street Synagogue start at $15 and can be purchased by calling (212), 219-0888, ext. 205. Thank You Charles! Bless You! Adonai, Amen, Amen, Amen!